Fashion & Beauty Online Shopping with ShopBack! I am a certified online shopper and I buy most of my stuff online why? Because I find online shopping very convenient that aside from the fact that I could shop wearing only my Pyjamas I don’t have to wait in line, besides, it’s easy for me to find the kinds of stuff I need with just the click of my keyboard. True that there is no question that online shopping has become the number one phenomenon all over the world with the expediency and easiness it can provide at the convenience of your own house. Although you cannot easily find online shops that can satisfy and suits your personal needs or one that could keep up with fast pacing trends. Finding the ideal one can be tricky. ShopBack Philippines understand such needs, that is why they make sure that they can keep up with the changing trends. But here's the catch! ShopBack Philippines is not just your typical online shop why? 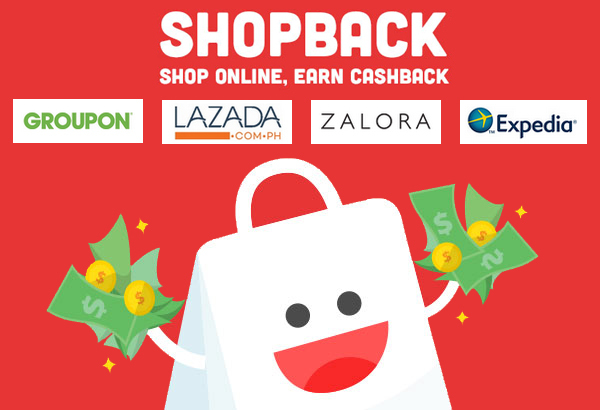 Because at ShopBack you get to shop and and earn cashback! so what is Shopback? Instituted in 2014 and spearheaded in Singapore and Malaysia Shop Back now powers over 1,300 global & local e-retailers Philippines included and it Has grown to become Southeast Asia's largest & fastest growing online loyalty platform. Making Online Shopping easy peasy and exciting! So how does it work? It's actually very easy you just register at heir site, shop and once you've made your payment your cashback will automatically add to your shoback account within a few days. You can also choose to transfer your fund via PayPal or to your bank account. See videos for more details on cashback! So glad I get to learn about this site!